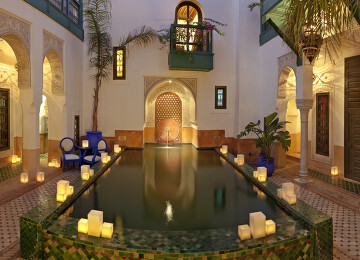 Morocco is an exotic and enchanting land of wonders within easy reach of Europe. Characterised by winding alleys overflowing with trinket-filled souks, sweeping deserts best explored on the backs of camels and the majestically towering Atlas mountains, this magical Moorish land has plenty for the discerning traveller to discover. 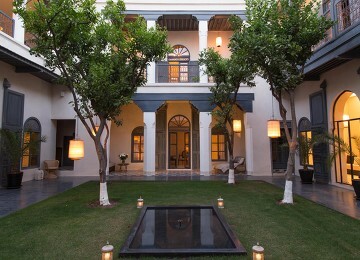 Our collection of boutique riads provide tranquil oases away from the bustling streets of Marrakech or heat of the North African sun. 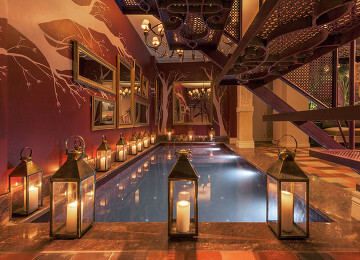 Inside you’ll find gloriously ornate furnishings, day beds to lounge upon, beautiful hangings and intricate tiles. 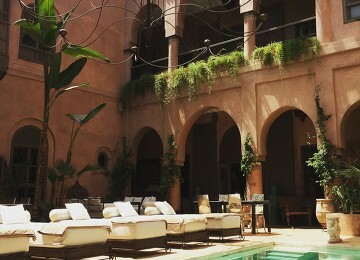 Perhaps you’ll stumble upon a secret garden or tranquil pool in the centre of the riad, opening out to the clear blue skies above.